Get to know a best-selling mystery, horror, and thriller writer. Jeani Rector asks John Saul the things you want to know! JEANI: When did you first decide you wanted to become a writer? JOHN: My seventh grade English teacher was the first to suggest the idea after I amused myself (and him) by using all twenty of the weekly vocabulary and spelling words we were supposed to use in sentences and putting them together into one long sentence. He was impressed enough by my ability to pull it off no matter what words he chose in any given week that at the end of the year he told me to consider a career as a writer. JOHN: I was never much good at short stories, though I did do some short articles for a friend who was editing a batch of pulp magazines back in the sixties. Then I lost a job unexpectedly, discovered that I wasn’t covered by unemployment insurance, and decided to write a book in a weekend, as John O’Hara did with his Appointment in Samarra. That book sold for the princely sum of two hundred dollars, and I followed it up with a few more really cheesy novels, then I found a literary agent. JEANI: What advice would you give to a new writer about finding a literary agent? JOHN: Use any connection you have. Mine came about because I was given the brushoff by a Los Angeles agent, who got rid of me by referring me to a couple of New York agents, one of whom had hired a girl with no experience a few days before. Her maiden name was Jane Saul, and she decided taking me on was “too cute to pass up.” Her married name was Rotrosen, and she has been my agent ever since. All you need to do is find someone who understands and likes what you’re doing, and is willing to go to bat for you. 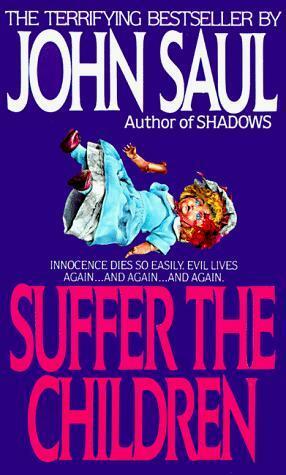 JEANI: Your first book, Suffer the Children, was published in 1977. Tell us the backstory about how you felt about having your very first book published, and how you were able to accomplish this. JOHN: As can be seen above, it wasn’t my first novel; closer to my tenth, though none of the others were ever published under my name. Still, Suffer the Children was pretty amazing, considering no one in publishing had ever heard of me. Helen Meyer at Dell put a lot of faith in me, and fortunately the book not only worked, but no errors were made by the publisher, thanks to the diligence of my editor, Linda Grey, and my agent, Jane Rotrosen. JOHN: Reduce the idea to a simple declarative sentence beginning with the words “What if...” and containing no more than twenty-five words. Actually, for some reason I don’t even pretend to understand, the best ideas (mine as well as the hundreds I’ve seen in workshops on this subject) always come out to be seventeen words. My editor told me early on that if I couldn’t do this, the idea was too cumbersome for a book and the book wouldn’t work. She was, as she always was, absolutely right. JEANI: How did you become such a big fan of the mystery and thriller genre? JOHN: I like thrillers, but not the kind I write; I’m a big fan of international spy thrillers such as Robert Ludlum’s in his heyday. I just turned out to be good at writing them, and it’s always best to do what you’re good at. JOHN: Writing is a job, but I’m pretty fast at it, so never spend more than four hours a day at the keyboard. Suffer the Children (and several other of my books) were written in thirty days or less, but that’s not including the thought processes, which usually takes far longer than the writing. JEANI: Of all your books that you wrote, do you have a personal favorite? JOHN: The Manhattan Club, hands down. JEANI: John, can you please tell me something personal about yourself? Your hobbies, recreational activities, and your favorite vacation spot? How about your favorite movie? JOHN: I like to play bridge, golf, knit (only simple flat objects like scarves, which I torture my friends with). For a true vacation, Hawaii is the only place, but I’ll travel almost anywhere. Favorite movie has to be Gone With The Wind, though All About Eve is a close runner-up. JEANI: I understand that you are also involved in theater and in the arts. Can you tell us something about that? JOHN: I always wanted to be a playwright (still do) but it turned out to be far easier to get a novel published than a play produced, though I’m still working on that. I’ve written several plays, and am in the process of starting another. We shall see what happens. JOHN: Fan mail should go c/o The Jane Rotrosen Agency, 318 East 51st St., New York, NY 10022. Most of the mail now is email, though. JOHN: Live in a warm climate. I never understood why anyone would want to be a struggling artist in New York City, given how hot it is in summer, and cold in winter. If you’re going to struggle until you make it, do it in a pleasant climate. John Saul lives part-time in the Pacific Northwest, both in Seattle and in the San Juan Islands. 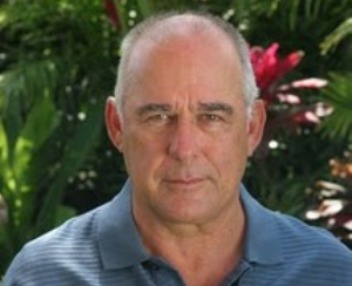 He also maintains a residence on the Big Island of Hawaii. He currently enjoys motor homing, travel and golf. He is an avid reader, bridge player, golfer and loves to cook. John's first novel, Suffer the Children, appeared on all the best-seller lists in the country and made the number one spot in Canada. Subsequently all thirty-two of his books have made all the best-seller lists and have been published world-wide. Though many of his books were published by Bantam/Doubleday/Dell, his last fourteen books have been published by Ballantine/Fawcett/Columbine. 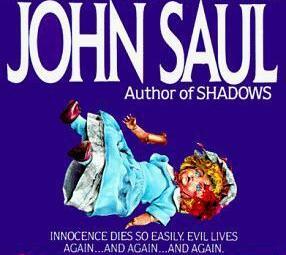 John Saul: A Critical Companion by Paul Bail was published by Greenwood Press. The book has chapters on John's life and analyzes a number of his books. Sarah Crane woke up with a start, her heart pounding. The image from the nightmare she'd been having since her mother died was fading rapidly, and all she remembered was that in the dream she was in a house--a huge house--and even though it was filled with people, she couldn't see or hear them. But she knew they were there. And they were as lonely and frightened as she was. 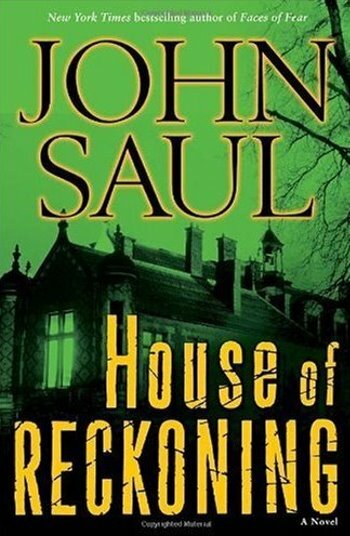 You can find House of Reckoning HERE. Find Suffer the Children HERE. 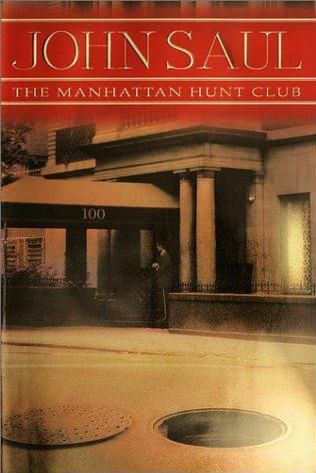 Find The Manhattan Hunt Club HERE.